Langtang Ri offers the Trekking to Renjo la pass, Kongma La and Chola Pass the best of Everest Adventure and famous Trek passes. It is the most famous among the Adventure Trekkers in the Khumbhu region.The trek offers an enduring experience of natural beauty; geological magnificent and profound cross cultural discovery. 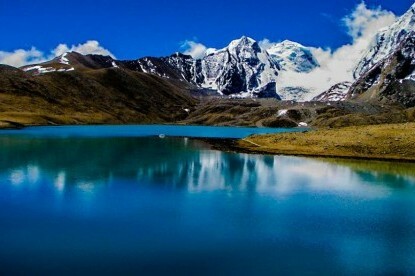 We take you in this trek through the original habitat of fresh Tibetan Nomad culture, abundant to see the Natural beauty and the rare wildlife around the Thame, the first fertile soil the Nomad (Now Mountain climber Sherpa) discovered passing via Nagpa La pass from Tibet in 14th Century. Your early flight to Lukla today will take approximately 30 minutes; from here you will trek to Phakding, descending 200m over 3 hours. You will catch a glimpse of some great mountains such as Nupla (5885m) above Kongde Ridge, Kusum Kang (6367m) appears on the right a little later. 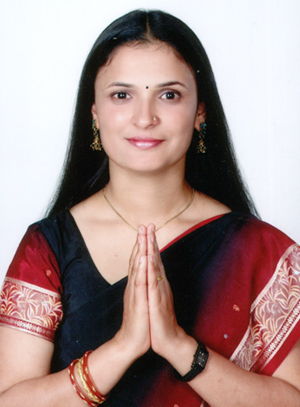 All along you will be following the northern (left) bank of the Dudh Kosi River. 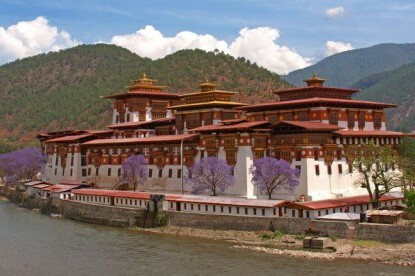 It is important to take these first few days slowly to enable your body to acclimatise and to enjoy the passing scenery and culture. 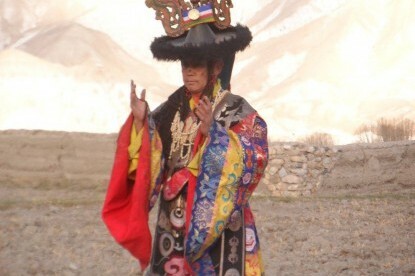 We start at first light from Chhukung, as we have to conquest highest pass of the trip today. 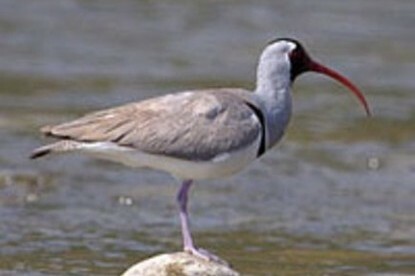 We carry plenty of water and some snacks and a packed lunch as there is no Lodges on the way. 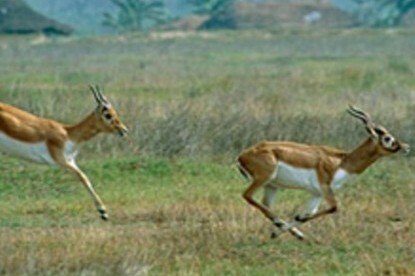 We really enjoy the remoteness of the area and absolute nature. 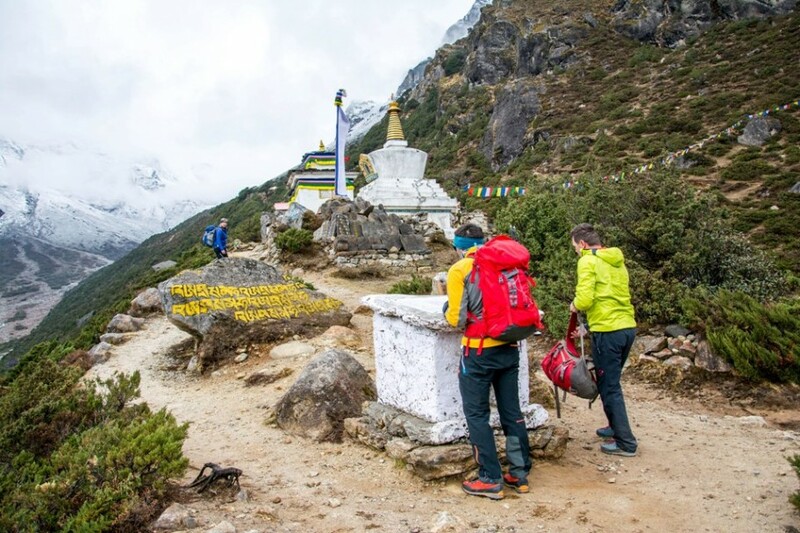 We can select to go via any of the possible trails – either taking a climb over the hill northwest of Chhukung over the moraine of the Nuptse Glacier or we might walk back down the valley to Bibre and follow a high trail above the Niyang Khola. Just after some walk there are great views of Island peak valley and jagged ridge of Amphu Lapcha. Ascending along the east side of Niyang Khola valley, we turn west and walk through the sloppy stony trial. We enter a wide basin dotted with small frozen lakes. The trail rises over loose scree gaining the Kongma La after about five hours we leave Chhukung. 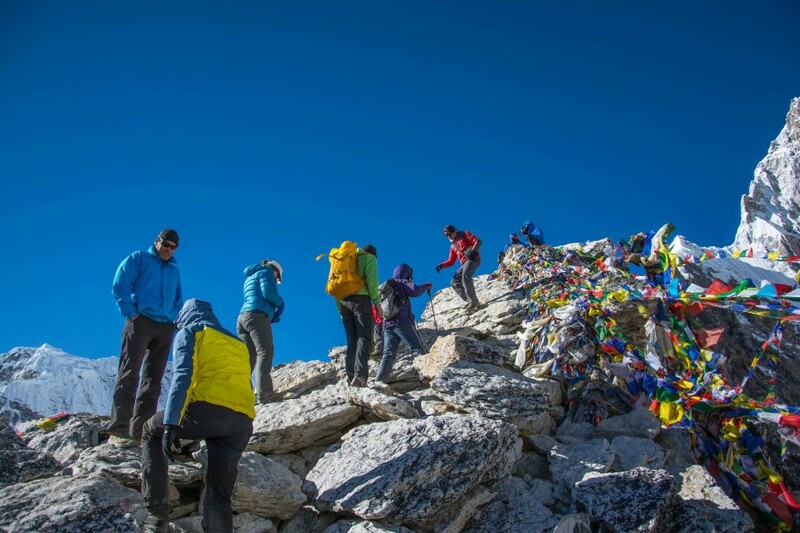 Upon reaching the top, we seen cairn wrapped in prayer flags, marks of the pass. 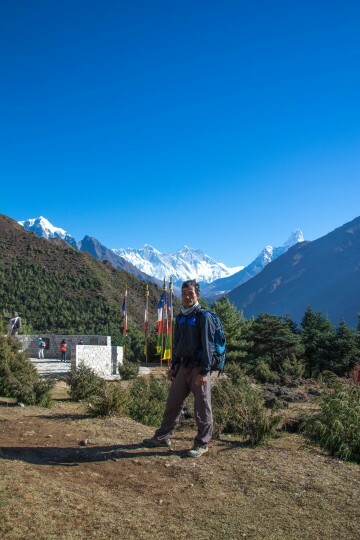 Behind us is the landscape of icy lakes ahead down of which is the Khumbu Glacier. 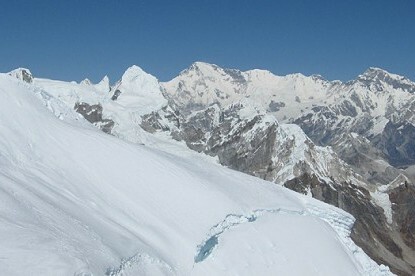 The final descent is the most difficult stage of the trek today, upon climbing the moraine on the far side, the trail turns north through Khumbu Glacier which takes us to Lobuche. 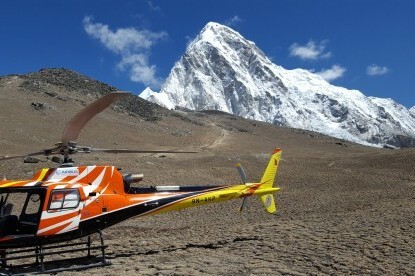 After short climb through meadows, look down on the Khumbu Glacier. 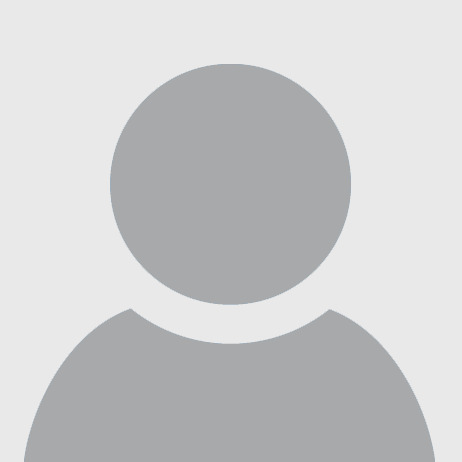 Straight ahead is Kalapattar – the best vantage point to view the entire south face of Mt. Everest and the surrounding peaks. After couple of hours we will get at Gorekshep, and continue our journey to Everest Base camp. There is not much elevation gain, but there are a lot of ups and downs and, combined with altitude, this can be a tiring portion- but the journey is worth it. 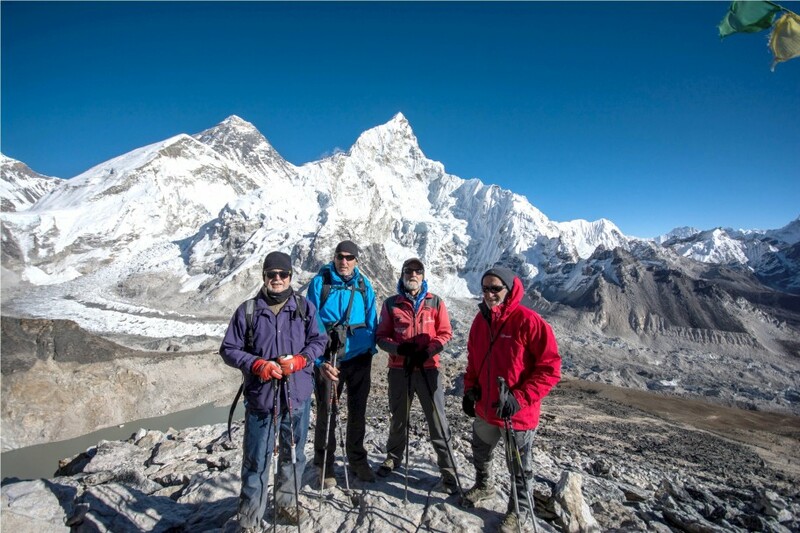 After approximately 3 hrs of hiking you will arrive at Base Camp and enjoy views of the Khumbu Glacier and icefall, where Everest expeditions begin. 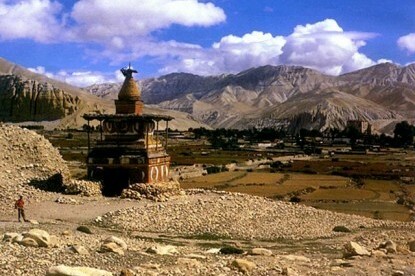 The day starts with a hike up to Kalapattar (5545m), the best viewpoint to witness Mt. Everest and the spectacular Himalayan range. Then trek back to Gorekshep for hot breakfast and then descend to Dzongla. 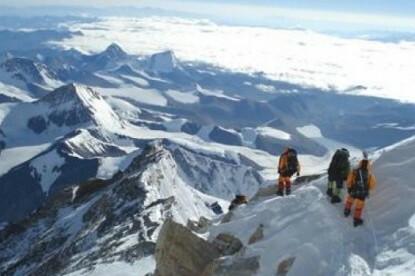 We begin the day by climbing to Chola-la crossing over and descending once more to Thangna (a.k.a Dragnag) (4700m). Today takes the trek to our final destination, Gokyo (4780m). This day early in the morning we have steep climb up to the top of Gokyo Ri (5483m/19083ft) ample rewards to one attempts this trip. There are stunning views of the supper Gokyo valley, the massive Ngozumpa Glacier and an incredible panoramic view of the whole Khumbu Himalayas, such as giants as Everest, Lhotse, Nuptse, Makalu (8481m), Cho-Oyu (8153m) and Gychung Kang (7922m) can be seen. Those who explore the glacier and Gokyo peak are rewarded. This day we have for acclimatization and after noon back to the camp. Today start our trek early after breakfast and prepare with well equipment as down jacket, gloves, boot, hat, sunglass, gaiter and crampons with stick. 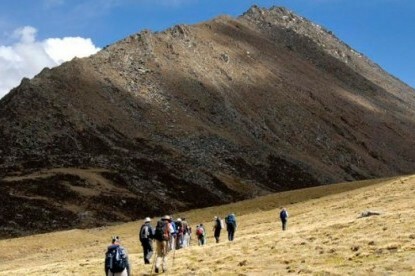 Start our trek with crews and ascending to Renjo La passes on rocky and snow covered trail with long glacier walk. 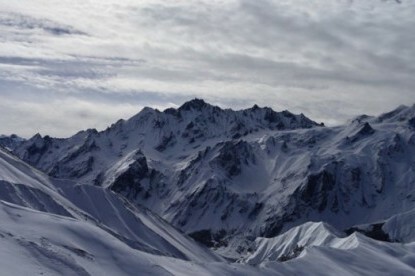 It is steep uphill up to Renjo la, where from we can see the best view of Himalayan scenery including Mt. 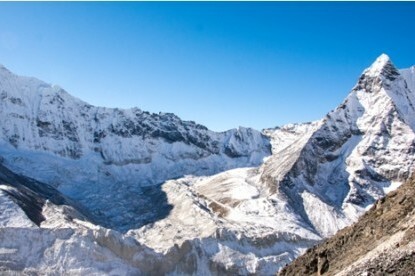 Everest and Gokyo valley. Descend few hrs to Lunden Village. It has a small settlement and specially Yak farming places and here we have a few basic teahouses where we can have a basic sharing room and basic Nepalese typical food. Today we head towards the northern part following the Dudh Koshi River up to Thame valley. 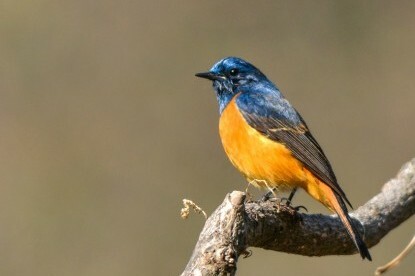 During the trek can be seen most scenic view of surrounding mountain and Himalayan wildlife. 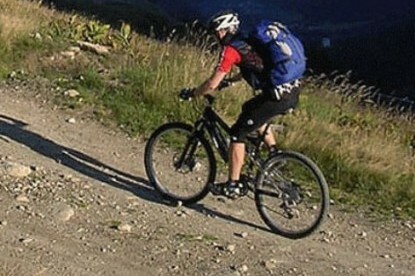 Today descent down to Monjo, visit the Laudo monastery 15 minutes above Mende. 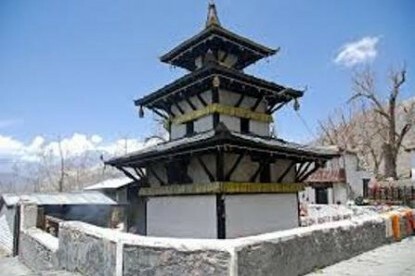 The main temple is only 40 years old and was used until recently as a meditation school for western buddhist students. It has a remarkable meditation room built beneath a huge rock, where people go on retreat for 3 years / 3 months / 3days. 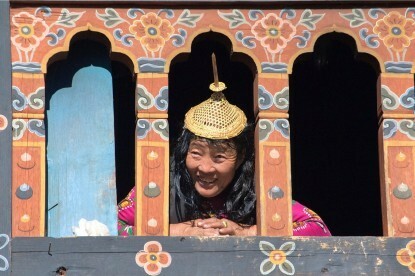 The friendly caretaker will be more than happy to serve butter tea and explain a little about the monastery. Retrace along the same route to Phurte and from here take the lower trail to Namche. After three hours of easy walking we arrive at Namche Bazar for lunch. The rest of the descent to Monjo will be along the same route as on the way up. The return trek to Lukla follows a slightly different route so as to avoid walking through Phakding again. Keeping to a trail high above, on the other side of the Dudh Kosi, we visit the old Gumila monastery before descending down to the main trail. After a short lunch break at Thada Kosi, at the base of the Kusum Kangru Himal we continue for a further two hours or so before we reach Lukla. That was a breathtaking journey. 15 days of strenuous walks and Huffs. And there we were pure whiteout. I cannot explain the beauty of the mountains. Its really heart melting. Thank you Langtang Ri trekking, this has been an amazing experience for me. Everything was perfect. Though the information we received was not enough, but i guess everything cannot be told. Well i saw it with my own eyes and felt it. I recommend the travellers to go with LRT if you really want the glimpse of the real himalayas. 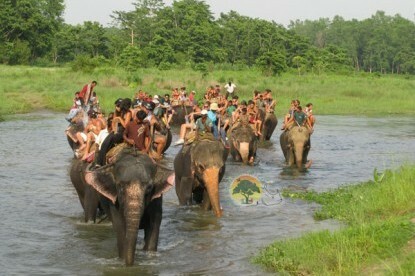 I must say Nepal is something else. Though it’s small, it has wrapped all the beauty in it. I did the three passes with my friends and few other crews. This has been the best journey so far. We started our trip from 28/10/2017 and ended on 15/11/2017. It was a trip to remember. 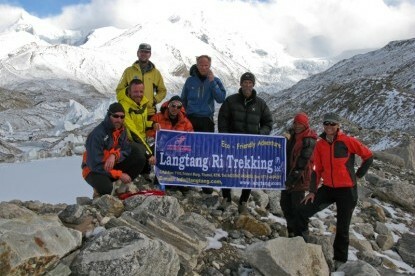 It would not have been possible without the assistance of Langtang Ri Trekking and expeditions. Our guide Phurkhel was the man who kept us going. I have to give it to Phurkhel, that he is really experienced and a kind person as well. His patience and presence was unique. Everything was excellent. Thank you, LRT and all their crew for making my trip. Well organised trek. Hardly any fuss pre-trek. On the trek the lodges were decent and comfortable. 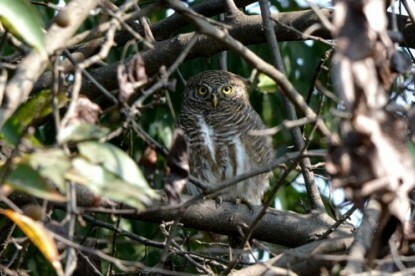 Guide Phukel was incredibly knowledgeable on local wildlife which added another level to merely enjoying the scenery. The guide knew the ability of the group and tailored the start time to that each day...although several long days, there were no days we needed to trek in the dark. The whole group completed the trek without incident which i'm extremely grateful for. 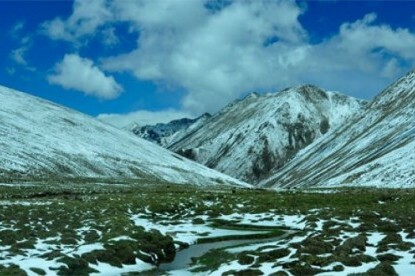 We were caught in a snow storm coming down from Renjo pass and our guide sent our porters to meet us half way, in the snow storm, with flasks of hot orange juice! the company also accommodates last minute requests e.g. 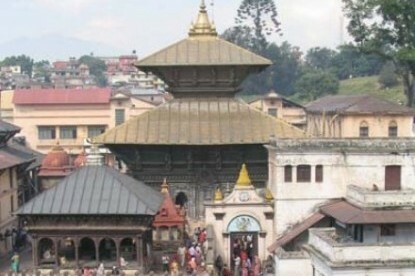 private tour around Kathmandu. I would definitely book with Langtang Ri again for my next trek in Nepal.